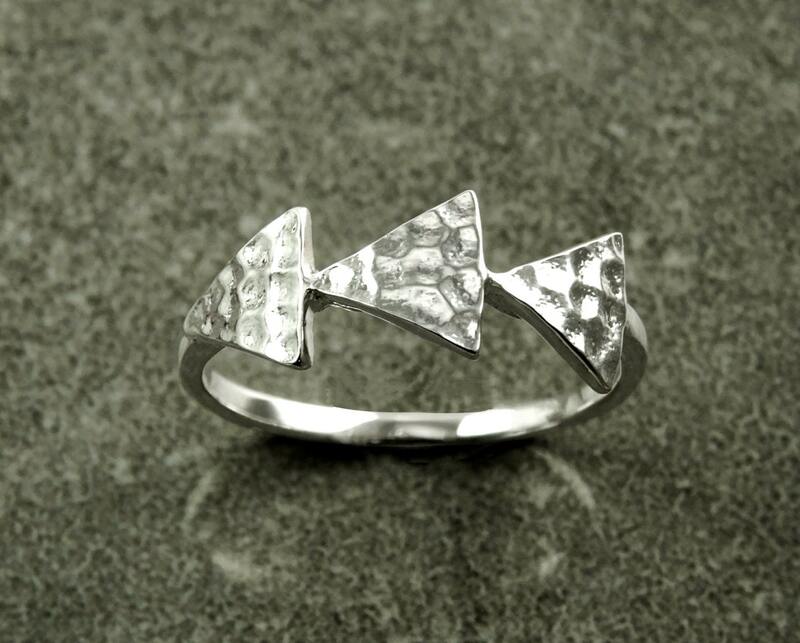 Very Nice Hammered Triangles Ring. A modern look with a minimalist spirit. 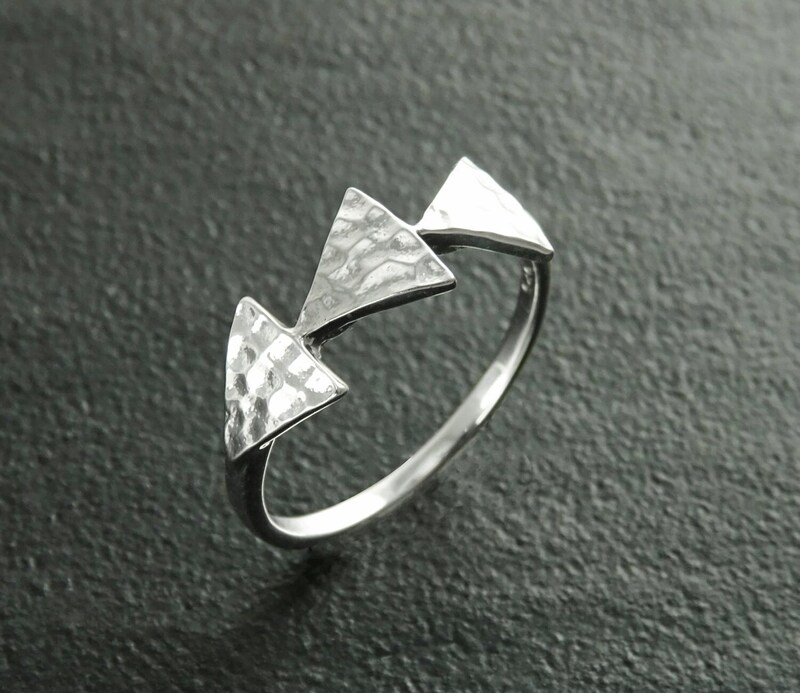 A great Ring for everyday! 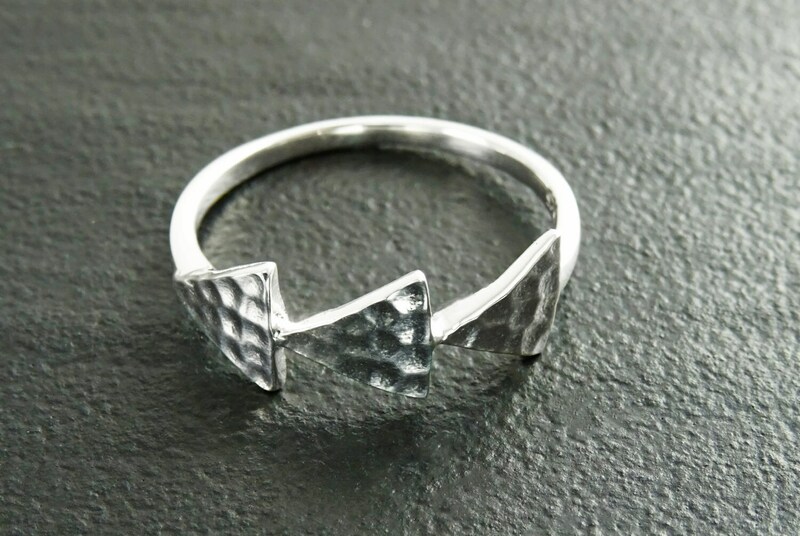 Top quality as always, exactly as I thought this ring would be. 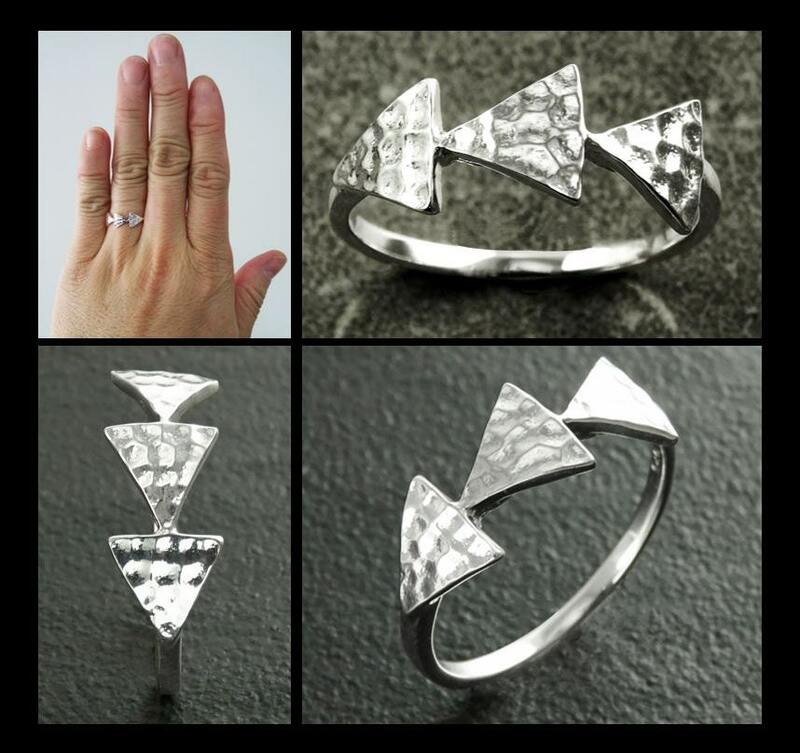 Comfortable to wear, perfect for everyday use. Thank you! Bought three of these to commemorate my three year anniversary with my partners. They love them! They've stayed super shiny despite my often forgetting to take mine off when I wash my hands. All around great purchase.